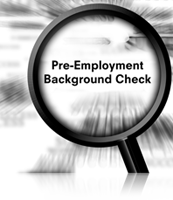 Many businesses obtain background checks for employment purposes, especially during the hiring or promotion process. When an employer contracts an outside agency to collect credit or other background information related to an employee or job applicant, the resulting report constitutes a “consumer report” which is subject to the Fair Credit Reporting Act (FCRA). The FCRA imposes obligations—and legal consequences for failures to comply—on employers making use of consumer reports. And, there is no guarantee that the consumer reporting agency conducting the background checks will properly advise employers of their obligations under the FCRA. Therefore, it is important for businesses to understand the basic provisions of the FCRA, even if it has hired an outside agency to perform such background checks. Before obtaining a consumer report, employers must clearly disclose to the applicant or employee that a report may be requested and obtain the applicant or employee’s consent. The requisite disclosure must be in a separate document, distinct from the employment application. Furthermore, the disclosure/consent document must not contain any other significant information, including a waiver of any kind. If the employer wants the ability to obtain additional background checks throughout the individual’s employment, the document should make reference to the ongoing nature of the disclosure/consent. It is important to remember that an employer MUST take certain steps BEFORE taking any adverse employment action based on information contained in a consumer report. The employer must give the applicant or employee a copy of the report as well as a written summary of his or her rights under the FCRA. This obligation is generally discharged by sending the applicant or employee a “pre-adverse action letter.” The pre-adverse action letter should give the applicant or employee a reasonable amount of time to review the consumer report and dispute any inaccuracies therein. Notice of the applicant or employee’s right to dispute the contents of the credit report. Employees and applicants are often notified of such adverse action via an “adverse action letter” transmitted by the consumer reporting agency, but the ultimate onus is on the employer to ensure that it complies with the requirements of the FCRA. The attorneys at our firm have a vast amount of experience with the FCRA, EEOC, and all other aspects of employment and corporate law. Please contact us if you require any guidance about the legal obligations applicable to you and your business.